$6.99 2 or more only $6.00 each! 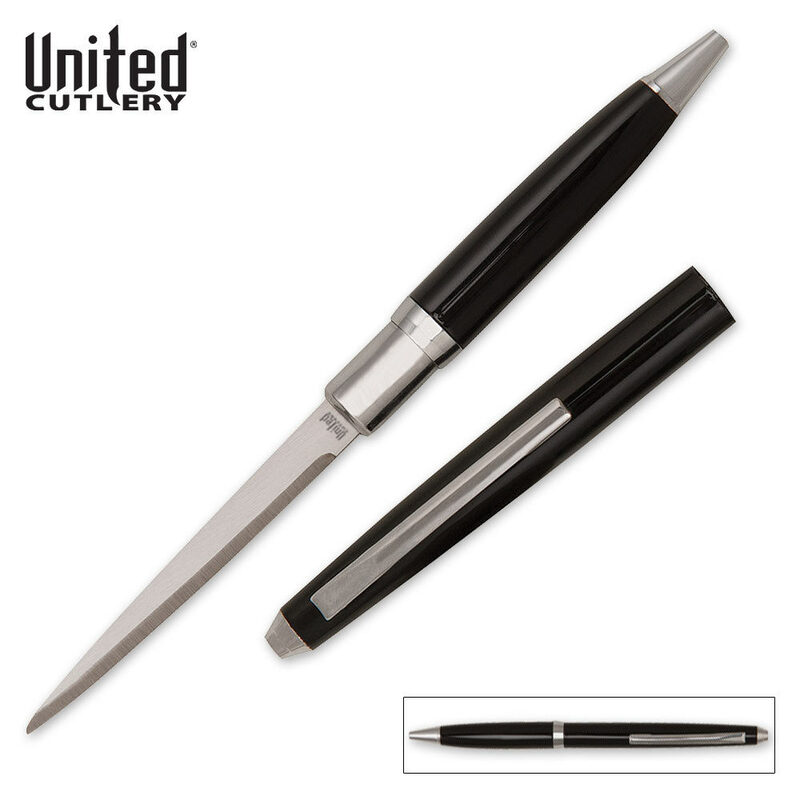 This fully functional ink pens contains a concealed knife blade. Just twist the handle to extend the pen point or pull apart to reveal the 2 1/2" stainless steel blade.The blade is housed in a durable, aluminum pen casing and it is 5 5/8" in overall length.